For this year’s Women’s History Month our Women’s focused employee resource group (ERG), Women@, landed on the theme Empowered Women, Empower Women. With this theme, we not only celebrate the contributions of women in history, contemporary society, and at Dropbox, but we also want to place a special focus on women support other women, lifting them up, and helping them grow professionally and personally. This month, rather than introducing you to individual Dropboxers, you’ll meet teams of women who empower each other. With that, meet the women of legal! Q: What’s your team name, and what are you responsible for doing at Dropbox ? A: We’re all within the legal team. Caroline (CB), Rachel (RN), Jasmine (JH), and Becca (BF) are part of the Commercial sub-team. Germaine (GG) is part of the Risk and Compliance sub-team. Michelle (MK) is part of the Intellectual Property (IP) sub-team. Q: How many offices is your team in? 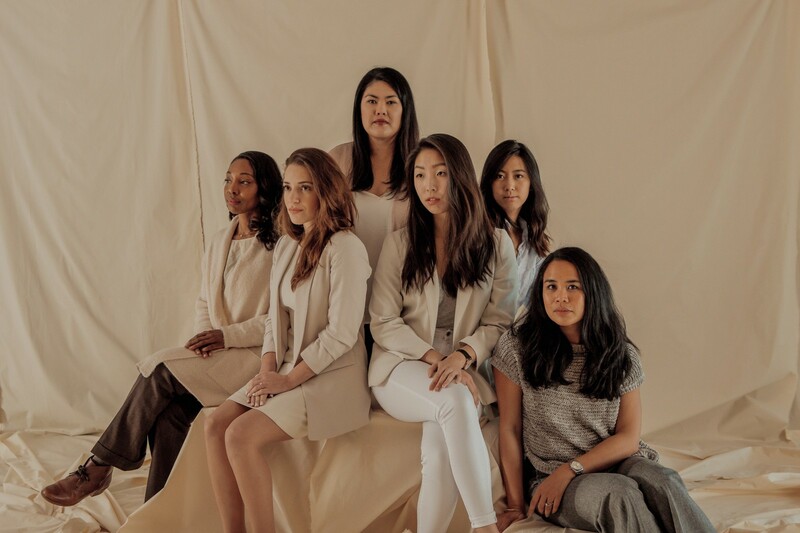 A: The ladies in the group photo are all based in San Francisco, but the legal team is also in, Washington D.C., Dublin, France, London, and Germany. Q: What does this year’s theme, Empowered Women, Empower Women mean to you? GG: An empowered women is one that uses her intellect to achieve her goals, both within a work and personal environment. This year’s theme signifies that Dropbox advocates for the advancement of women in the workplace! CB: Empowered women are also willing to share insights and connections that can help inspire and provide reassurance for other women. JH: Having women in leadership positions provides a foot in the door for other women in industries that may not have existed before. RN: Having several women leaders at Dropbox is empowering to other women. MK: This year’s theme reminds me that it is important that women support each other and lift each other up. It’s not always easy to find the support we need, and we should help each other succeed. Each woman’s success is a success for women as a whole. A: We touch almost every aspect of the company to make sure risk is mitigated. We provide behind-the-scenes support to allow our product to empower others to work better, smarter, and faster. Although it’s not front-facing work, our product wouldn’t be out there without our support. We’re “defenders of space”! Q: What are some major, high visibility, or company-wide projects your team has worked on? When? What was the impact? GG: The privacy team works on initiatives to ensure user data is safeguarded. An example is General Data Protection Regulation (GDPR) readiness, which the privacy team started preparing for immediately after the legislation passed. We’ve extensively examined our entire business through the lens of GDPR, and our journey is partially encapsulated here. JH: The commercial team works on contractual agreements and ensures that they protect user privacy and keep Dropbox worthy of trust across on all fronts (sponsorships, events, SaaS, infrastructure, marketing, advertising, etc.). Whether it’s the HelloSign acquisition or partnership agreements, this work gets reviewed by our team. We educate people on how these issues come about and what people need to be aware of. We are business and risk advisors. This impacts not only internal stakeholders, but also external ones. MK: The IP team works to protect our products and promote innovation by developing a high-quality patent portfolio and open source program. Our efforts include harvesting inventions and filing patent applications related to our products. We also work to protect our brand by securing rights in our trademarks and policing any misuse of our trademarks. Q: How have other women on your team empowered you? GG: Having other women on my team means that I have colleagues that understand many of my life experiences, and how those experiences may influence my perspective on different work-related matters. CB: I can’t tell you how valuable it’s been for me to see females leaders rise in our company and how it makes my day when I run into a female colleague in the hallway and we both remark, “Let’s set-up time for lunch or a coffee chat.” That camaraderie, support, and humor has helped me become more self-aware, to be bold in asking that tough question, and to think more like a leader. MK: The women in legal have provided me with a network of strong, supportive, and likeminded women who encourage me to be brave and speak genuinely and candidly. Q: How does Dropbox empower women to do their jobs? 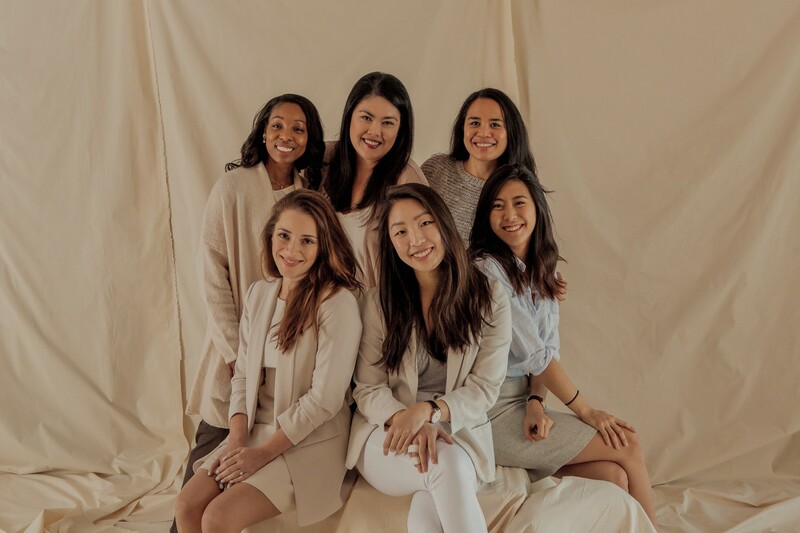 MK: Dropbox’s support of women and the many aspects of life that they juggle is evident and ingrained in our culture, giving us the balance and flexibility to be successful in those areas. JH: Dropbox has created a culture distinctly different from that of some traditional industries. In this culture, women are comfortable speaking up about their issues. It’s not an environment where issues are swept under a rug, but one where traditionally marginalized viewpoints are encouraged. It is a clear and intentional direction that the company as a whole has fostered. Q: How about allies? How do they empower you to do your job on your team? GG: Allies are critical to promoting positive change, which can be exhibited at team meetings (say something if a woman’s comments are cut off), or advocating for more women to be placed in positions of power (as men disproportionately have leadership roles when compared to women). JH: Allies are those who provide support even when it is uncomfortable for them to step up and do so. What I appreciate about allies at Dropbox is that they don’t shy away from these topics. As women, we are often unheard, but allies at Dropbox empower me by helping create a space where everyone can be heard. MK: Allies provide us with opportunities to expand our skill set and further our careers. My male lead does this by making thoughtful suggestions for opportunities that may help increase visibility into the work I do. CB: Looking back at my career, I’ve been so fortunate to have had some great female and male allies, mentors, and managers. I really do believe that it’s been so important for me to have had such strong influences from both sexes. I currently report to Romeo Gonzalez and Dan Cook, who challenge and allow me to be my best self at work. Whether it’s having honest conversations on my career growth, how to navigate being a manager, or dealing with difficult people, I always feel better knowing that I’ve been heard and hearing their perspectives as seasoned attorneys usually makes me feel a bit more sane. I appreciate Romeo and Dan’s support pursuing my interests outside of work without question, like taking the time to attend women’s conferences such as Watermark and TEDWomen. Check back soon to meet more Dropboxers. In the meantime visit us at dropbox.com/jobs.